Folly Beach, SC is a hidden gem not far from Charleston. While larger cities tend to demand the spotlight when it comes to highly sought-after travel destinations, small towns shouldn’t be overshadowed—especially in the Carolinas. Here are eight small towns in North and South Carolina you must visit now. South Carolina’s horse-country is something that should be experienced by everyone. Year-round the small town of Aiken hosts exciting steeplechases and polo matches that draw in crowds from all over. And, the charming downtown area definitely shouldn’t be missed—its is full of quaint storefronts and boutique shopping, as well as local restaurants and coffee joints serving up delicious bites and sips. A stay at the historically lavish Willcox Hotel will make visitors never want to leave. Experience tranquil nature in Cherokee. Located just outside of Great Smoky Mountains National Park, Cherokee is a one-of-a-kind destination full of history and culture. For a truly uncommon experience, visitors can immerse themselves into traditional Native American culture at Cherokee’s Oconaluftee Indian Village. While visiting the village guests will get to explore traditional Cherokee dwellings, sacred ritual sites, and observe lively cultural dances. 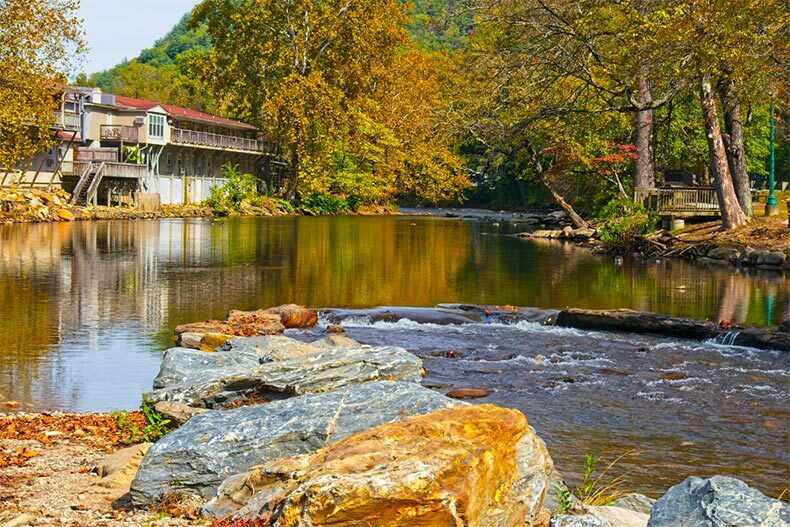 Along with the captivating village, Cherokee also offers a myriad of outdoor activities with several campgrounds spread throughout the area, over 800 miles of hiking trails, and more than 30 miles of streams for fly-fishing. Not to be confused with North Carolina’s Beaufort, Beaufort, South Carolina, is part of the stunningly beautiful and postcard-worthy Sea Islands that stretch all the way into Georgia. The town is full of historic landmarks and antebellum homes, museums, a vibrant boardwalk full of restaurants and local boutiques, and, of course, plenty of sandy beachfront. Take a horse-drawn carriage tour to get the full Beaufort experience. 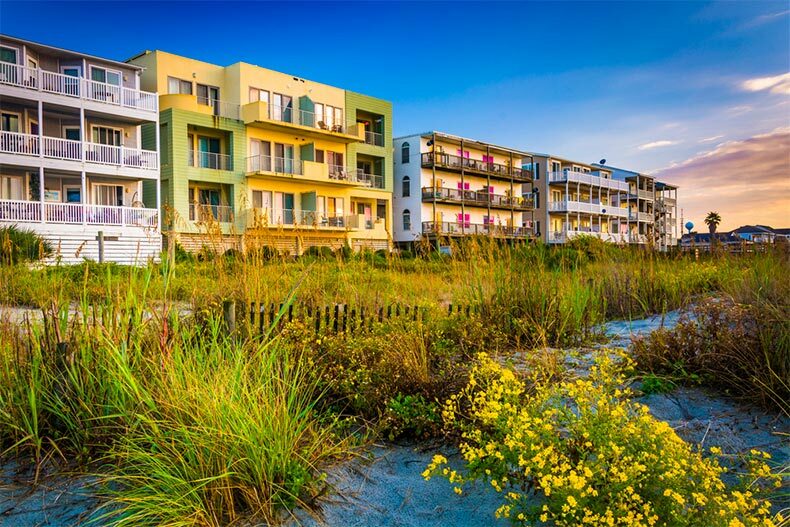 Folly Beach is full of great restaurants, vacation rentals, and of course, the beach. 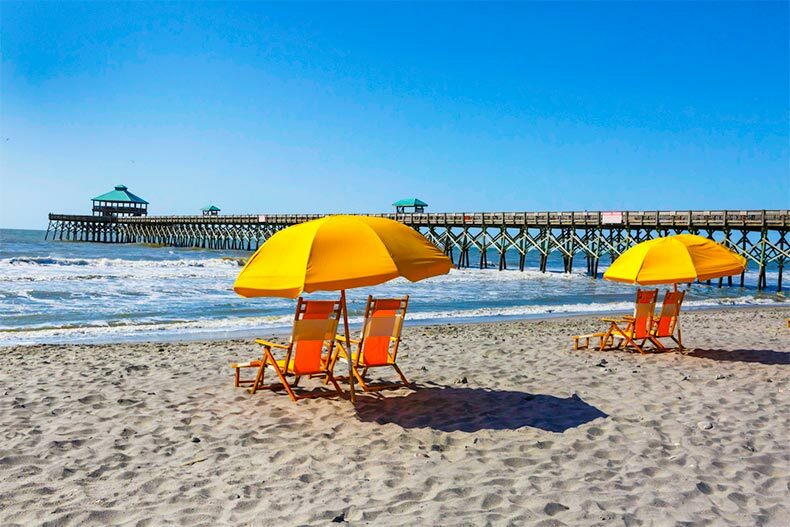 For a relaxing beach vacation with plenty to do consider visiting Folly Beach, which is located less than 20 minutes from historic downtown Charleston. Home to long stretches of soft, sandy beaches, Folly is the epitome of a laid-back beach town full of local surf shops, beach bars, and a fishing pier that stretches 1,045 feet into the ocean. The town is also home to the remarkably beautiful Morris Island Lighthouse that once sat on the shoreline, but can now be found three miles out to sea, because of erosion. Visitors can stay active with a myriad of water sports to choose from, including kayaking, stand-up paddle boarding, surfing, and boating. The fictional town of Mayberry, made famous by the classic television show, Andy Griffith, was based off Andy Griffith’s actual hometown of Mount Airy, NC. Today, many years after the popular show ended, the small town still exudes the same Southern charm and friendliness portrayed on the wholesome program. Mount Airy’s Main Street features everything from barbecue joints and gourmet chocolate shops to antique stores and a historic movie theater. Fans of the Andy Griffith Show can stop by and see the home Andy grew up in, visit his favorite diner, Snappy Lunch, for a pork chop sandwich, or, take an official Mayberry Squad Car Tour to take in the sights and local landmarks. Nearby, there are several popular North Carolina wineries and breweries to visit. Lake Lure provides a relaxing day on the water or a scenic hike up the Blue Ridge Mountains. 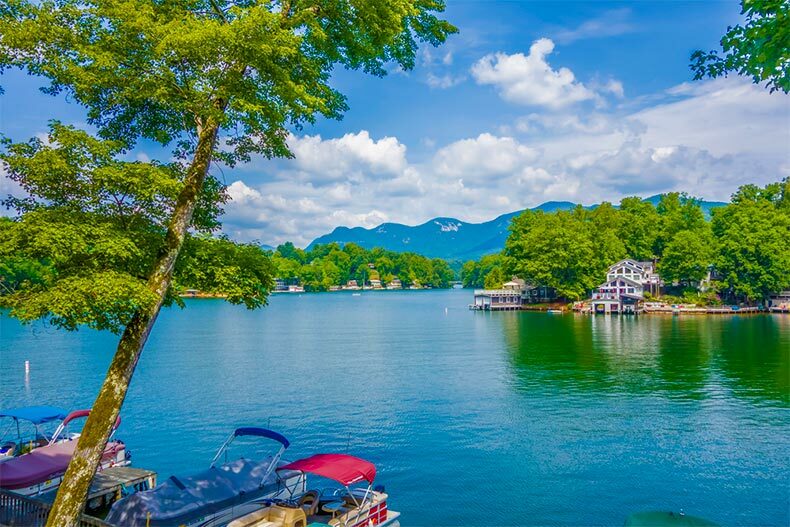 Located in the foothills of the Blue Ridge Mountains, the picturesque town of Lake Lure has been featured on the silver screen in some of Hollywood’s biggest movies, including Forrest Gump, Firestarter, Thunder Road, and Last of the Mohicans. It’s also where some of the most iconic scenes from the movie Dirty Dancing were filmed — i.e. the famous lift scene. The town is centered around a scenic man-made lake that’s surrounded by mountains and features a long stretch of beach perfect for a relaxing sunny day. There’s also plenty to do with numerous hiking and biking trails, the Lake Lure Golf Club, and Chimney Rock State Park. Accommodations in Lake Lure range from local lodges to cabin rentals. For a quick day trip, the city of Asheville is less than 30 miles away. Well known for its impeccable championship golf courses, the town of Pinehurst is a top destination for golfers all over the country, but it also has a lot more to offer its visitors than 18 holes. For a truly luxurious experience book a stay at the regal Pinehurst Resort and Spa, and schedule a spa treatment — or two. Then take some time to meander downtown in the Village of Pinehurst for a little boutique shopping and grab a bite to eat at one of the many cozy restaurants. Southport is full of traditional Southern charm. This idyllic seaside town has been the setting for several feature films, including Safe Haven, Summer Catch, and A Walk to Remember. 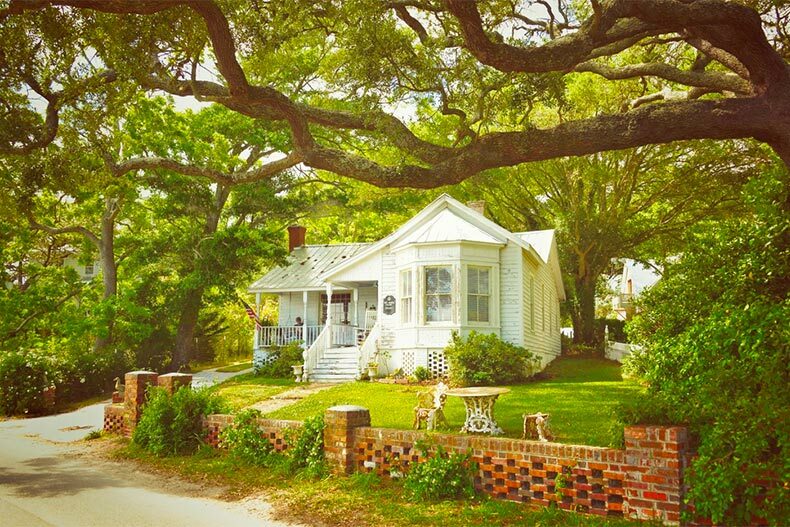 The town’s main street is dotted with historic coastal homes, quaint antique shops, local bakeries, cafes, and restaurants serving up freshly caught seafood daily. Downtown backs up to the waterfront and leads to the Southport Pier and Boardwalk, which gives visitors panoramic views of the Cape Fear River and the surrounding area. After exploring all Southport has to offer, visitors can take a ferry over to tour Fort Fisher and the North Carolina Aquarium at Fort Fisher.